The eyes of the globe will be on the legendary Maracana stadium in Rio de Janeiro on Sunday, but last month a very different world cup final took place in an unlikely setting: the small Swedish city of Ostersund. While FIFA's tournament saw Germany and Argentina vanquish the rest of soccer's global elite to reach the final, the 'World Football Cup' brought together 12 teams that had no chance of being invited to the party. Internationally unrecognized or long-extinct nations such as South Ossetia, Darfur and Kurdistan competed in a world cup for the stateless. In the picture above, a team representing Abkhazia, a disputed territory that broke away from Georgia after the collapse of the Soviet Union, competes in a penalty shoot-out against Padania, a team advocating secession for the north of Italy. 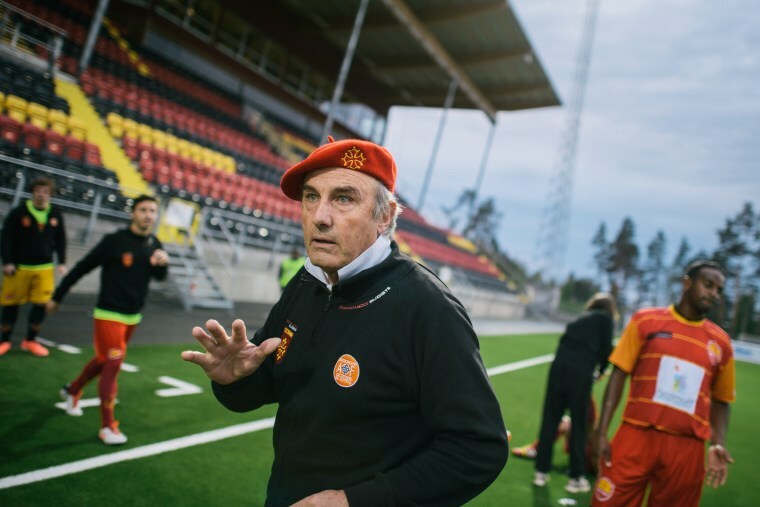 The coach of Occitania briefs his players. Occitania, which roughly encompasses the southern half of France, as well as Monaco and smaller parts of Italy and Spain, has been recognized as a linguistic and cultural concept since the Middle Ages, but has never been a legal or a political entity. 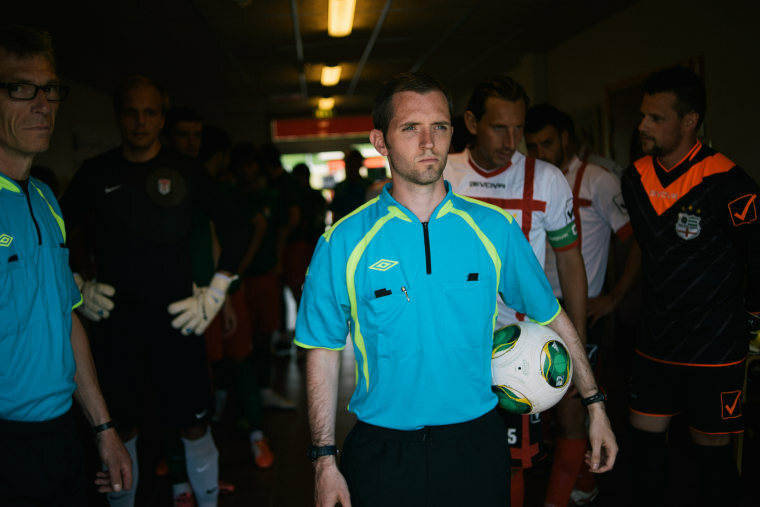 A referee stands in the tunnel with teams from Abkhazia and Padania. 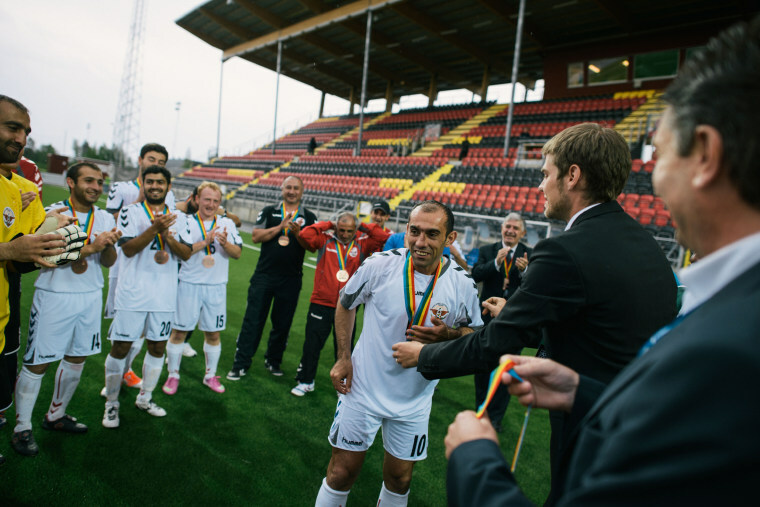 The tournament was set up by CONIFA, which describes itself as a global umbrella organization for "sportingly isolated regions" which are not recognized by FIFA. Founder Pers-Anders Lund says it offers players the chance to give pride and dignity to people who are not represented on the world stage. "There are 80 million Tamils and 40 million Kurds who don't have a national team to support in Brazil,” he explained. A player from Darfur United being closed down by two Nagorno Karabakh defenders. Darfur's team, comprised of refugees living between Sudan and Chad, lost all four matches it played, conceding 61 goals and failing to score even once. One player, seeing no future back home, decided to abandon his team and try his luck as an illegal immigrant in Sweden. The missing player's teammate Abdulrhman empathized: "He saw how life is here and compared it to what we have back in the refugee camps in Chad. I just go back because I have to take care of my mother." 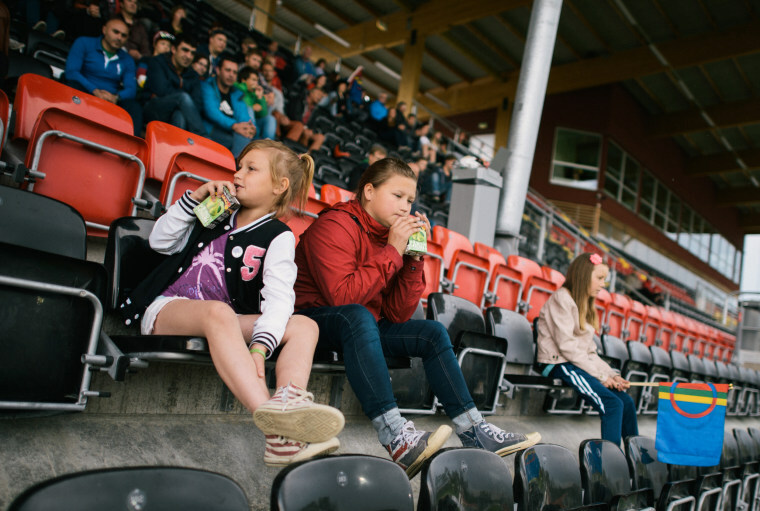 Ostersund's stadium can seat 5,000, but it was almost empty for most of the matches. The city is located in the historic region of Sapmi, or Lapland, the ancestral territory of the indigenous Sami people. Players from Ellan Vannin celebrate in the dressing room after their 4-1 semi-final victory over Arameans Suryoye. Ellan Vannin, or the Isle of Man, is a self-governing British Crown Dependency located in the Irish Sea. 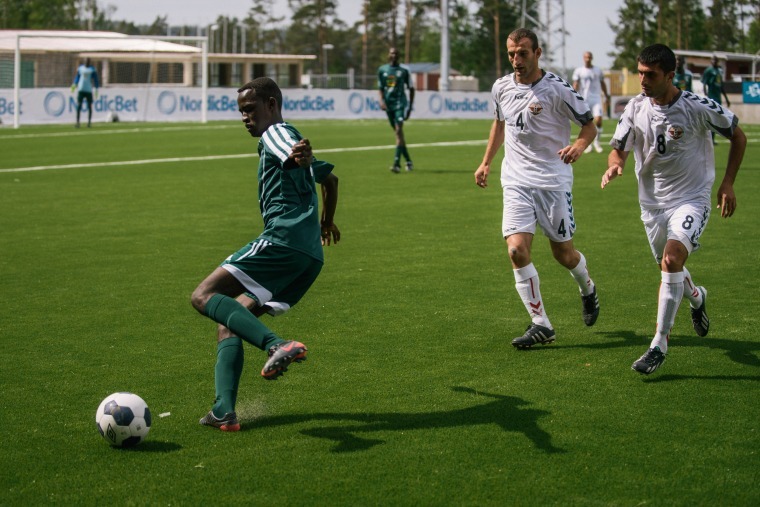 Its team helped raised funds to enable the players of Darfur United to travel to the tournament, and the two teams cheered each other on from the stands. Nagorno Karabakh finished bottom of its group, but the players were still awarded medals for finishing 9th in the tournament. CONIFA said it had received a letter from the Azerbaijan soccer association requesting that Nagorno-Karabakh be kicked out of the competition. Azerbaijan claims that the disputed region is part of its territory. 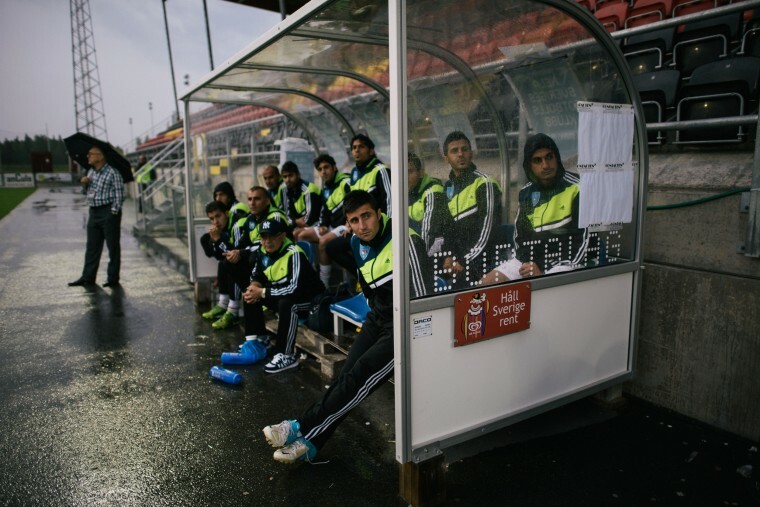 The Kurdistan bench watches its game against Padania. It was won by Padania on penalties. Aramean Suryoye FA celebrate their bronze medal victory after beating South Ossetia 4-1. A small, but significant proportion of the population in Syria and the lands comprising ancient Mesopotamia identify themselves as Aramean-Syriacs. They are Syriac Christians by religion and still speak Aramaic. South Ossetia goalkeeper Taimuraz Tebiev, 19, relaxes in his hotel room. Tebiev, who is an economics student in the Russian city of Vladikavkaz, said he was sad that his team had been knocked out by Arameans Suryoye. "I thought that winning the World Cup would have helped us to be part of FIFA," he said. 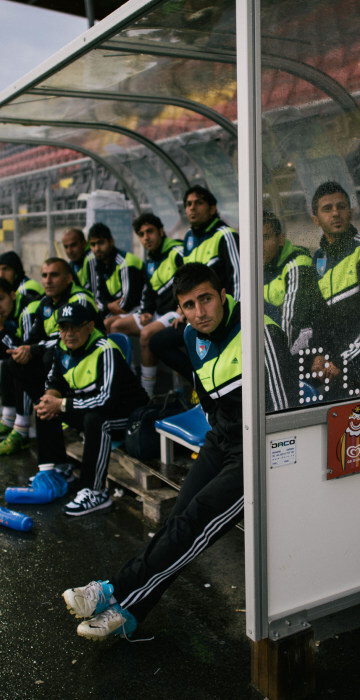 "But this was our first tournament, our national team just played once against Abkhazia in Sukhum last September. We will train and I really hope we will win the next one!" 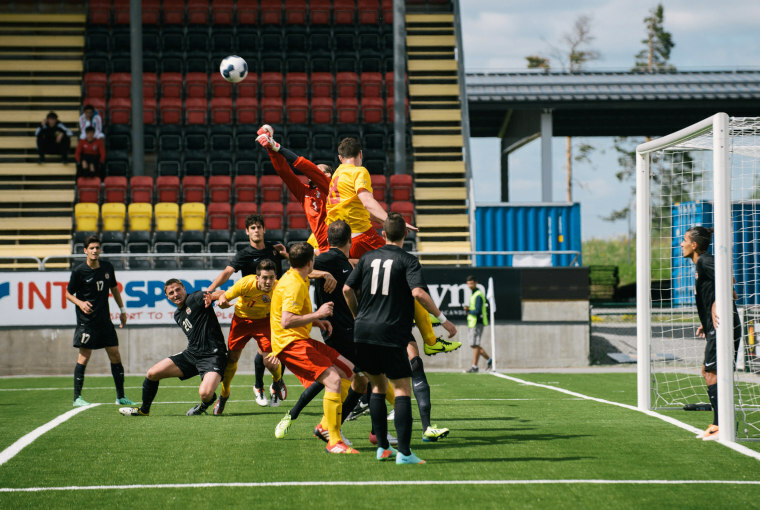 A corner kick comes in during the final between Countea de Nissa and Ellan Vannin. 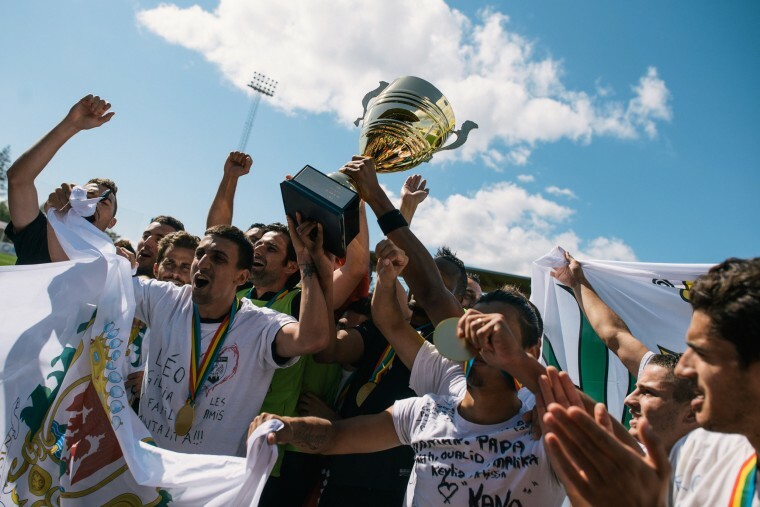 Countea de Nissa's players hold the trophy aloft as they celebrate their victory in the final. The County of Nice, an ancient territory stretching across parts of present-day Italy and France, ceased to exist in 1860 when it was annexed by France. 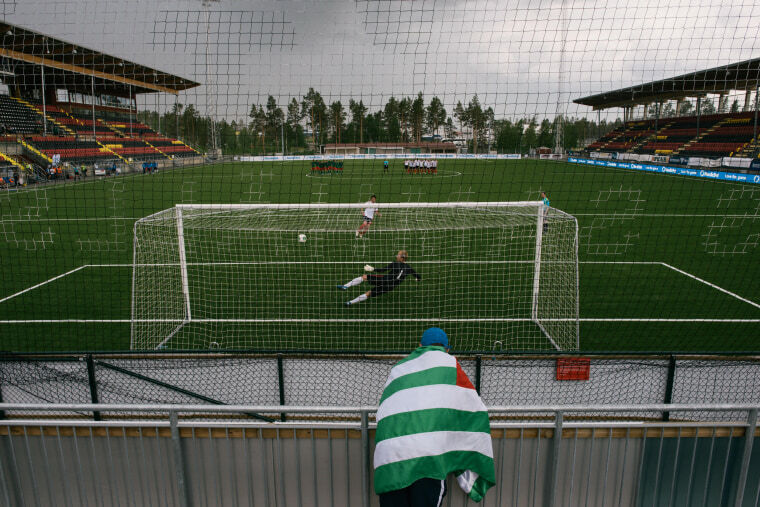 But on a soccer field a few hundred miles south of the Arctic Circle, its sporting representatives reveled in the glory of being crowned champions of the world.